Carrier generation induced by pulsed-laser excitation has become an essential tool for the investigation of single-event effects (SEEs) of micro- and nano-electronic structures. 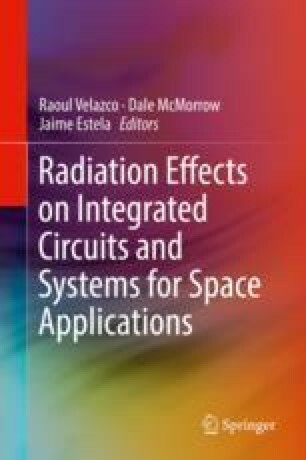 The qualitative capabilities of this approach include, among others, sensitive node identification, radiation hardened circuit verification, basic mechanisms investigations, model validation and calibration, screening devices for space missions, and fault injection to understand error propagation in complex circuits. Recent effort has built upon the success enabled by these qualitative benefits, and has focused on putting the laser SEE approaches on a more quantitative basis. This chapter presents the basic principles associated with the single-photon and two-photon excitation processes, as well as numerous case studies. This work was supported by the Defense Threat Reduction Agency and the Office of Naval Research.